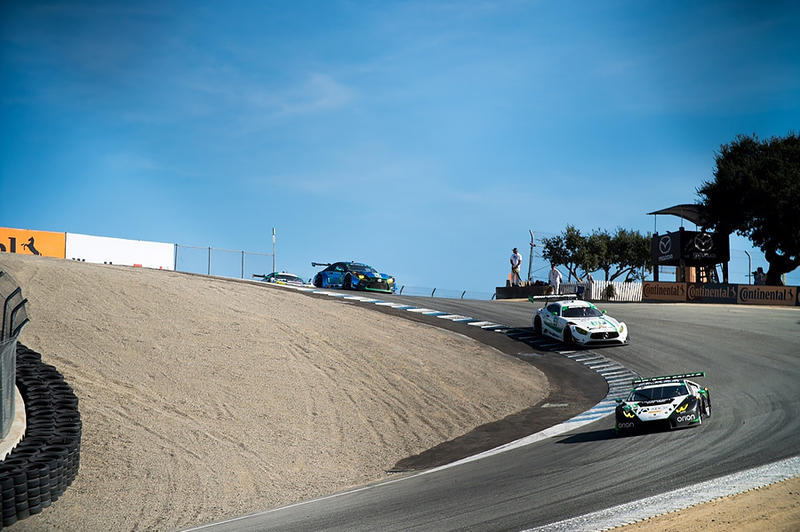 The Change Racing team looked to continue its winning momentum in Round 11 of the IMSA WeatherTech SportsCar Championship at Mazda Raceway Laguna Seca on Sunday, but a return to the IMSA podium was thwarted following an unlucky yellow flag midway through the race and the team settled for a ninth-place result. A cloudless California sky warmed up the track just in time for the start of the two-hour and 40-minute event. Starting from the outside of the third row proved to be extra complicated as a gaggle of cars bunched into Turn 1 in an attempt to avoid a beached GTLM car at the apex. Looking to avoid the bottleneck of slowed cars, Lewis ran wide and by doing so lost positions. Once through the start, Lewis drove a clean opening stint and held eighth before turning the car over to Mul. The team made the call for a unique pit stop strategy which included a short stint to begin with. The strategy proved to be the right one after assuming the lead 45 minutes into the race, until an untimely full course caution on lap 61 threw that plan for a loop. 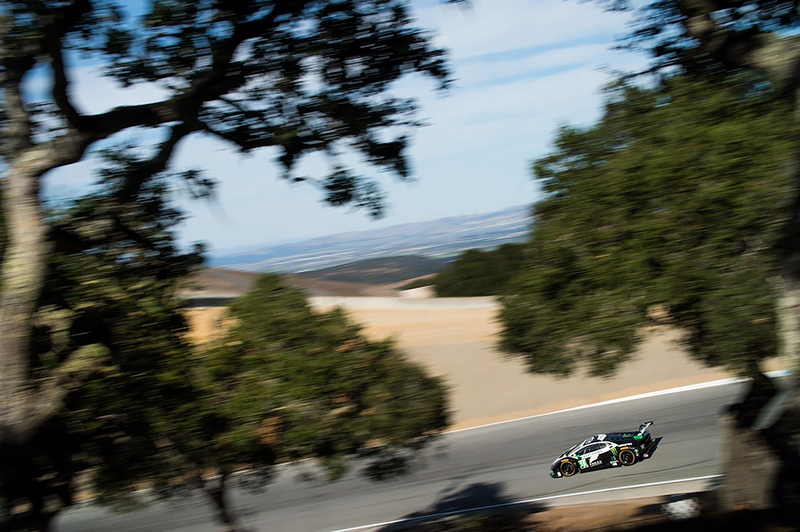 Mul highlighted the race by leading the GTD field for 20 laps despite experiencing a lack of grip as the elevated track temperature accelerated the tire degradation. Mul drove to a ninth place finish after making a charge to the checkered to gain as many positions back as possible. Lewis, who had the difficult task to conserve fuel and tires while keeping the charging competition behind, managed well and was pleased with the team effort through the weekend. The final race of the season will be at Road Atlanta on October 4-7 for the 10-hour Petit Le Mans event. 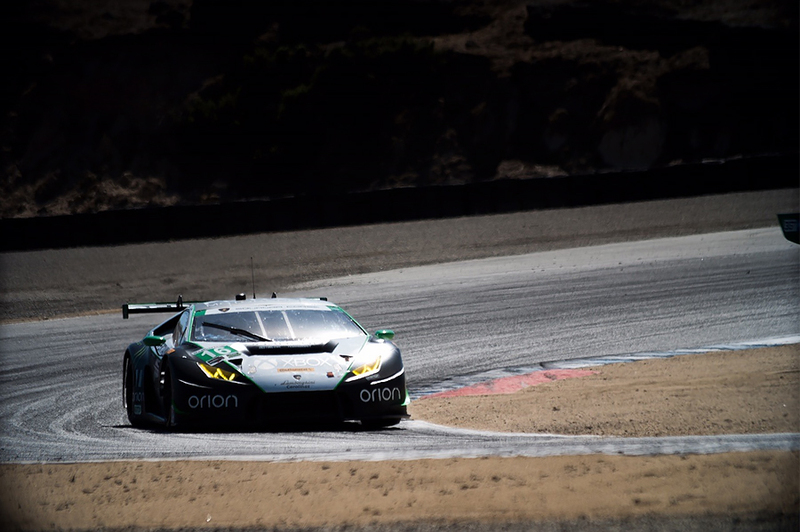 The Lamborghini Super Trofeo North American series concluded at Mazda Raceway Laguna Seca with the second race of the weekend on Sunday. Unfortunately, Richard Antinucci’s luck did not turn around for the second round of racing. After replacing the ECU following Saturday’s race, Antinucci experienced similar issues in the initial stages of Race 2 on Sunday and forced him to retire from on lap three. Antinucci finished his season second in the provisional championship standings. Following Bryce Miller’s second place result on Saturday, the Californian looked to close out the season on a high note. With the sun providing for the warmest day of the weekend, Miller was focused on maintaining a smooth pace which ultimately aided him to lead the ProAm field for several laps. Unfortunately, Miller was just short of a podium result, closing out the 50-minute event in fourth. Miller’s season-long performance placed him third in the provisional Lamborghini Super Trofeo North American championship. ABOUT: Founded in 2013 by successful real estate developer and Lamborghini Carolinas CEO Eddie Littlefield and RAB Racing NASCAR team owner Robby Benton, Change Racing quickly established itself as a championship caliber team in IMSA Lamborghini Blancpain Super Trofeo competition. After earning Team and Driver Championships in 2013, 2014, and 2015, the team grew in 2016 to also campaign in the IMSA WeatherTech Championship with the Lamborghini Huracàn GT3 in GT Daytona (“GTD”) Class competition. The team enters 2017 with a promising young driver line up with Corey Lewis and Jeron Mul sharing the driving duties on the No. 16 Monster Energy / XBOX / Forza / Windows 10/ Pertamina Lamborghini Huracàn GT3. Change Racing will also make its 5th consecutive Lamborghini Blancpain Super Trofeo campaign as the team looks to extend its record of achievement in the category.